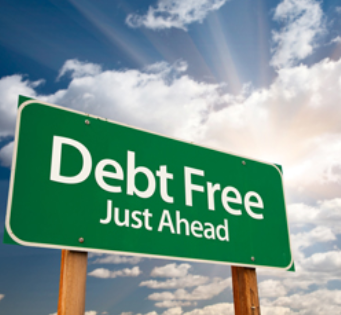 Ever since I set my student loan debt payoff goal of March 2019, I have been motivated more than ever to continue seeing my student loan debt shrink and eventually paid off. I have been paying a bit more on top of the $2,300 a month I currently pay thanks to my side hustles. Although my payoff month goal is March 2019, I am aggressively pursuing a payoff goal by the end of February 2019. I really believe I can do it. Several months ago for the first time in my life I set myself a target student loan debt payoff goal. 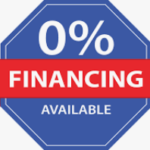 I had always just paid my monthly payment amount for the past decade. I did not think I would ever come to a point where I can see myself breathing from all the student loan debt. The reason why I targeted March 2019 is because my annual work bonus is expected at the end of February 2019. I would love to use this bonus on something other than my student loan debt. This gets me super motivated to continue budgeting, saving, and working on making extra income through my side hustles. Here is the current debt payoff chart as of today. 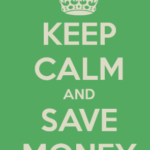 I had increased my monthly payment from $2,000 to $2,300 and paying as much as I could extra every month. 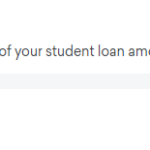 Based on the (rounded up) $7,200 I currently owe, I am scheduled to pay off my student loan debt a little into March 2019. I have been able to tackle my student loan debt with my side hustle income. 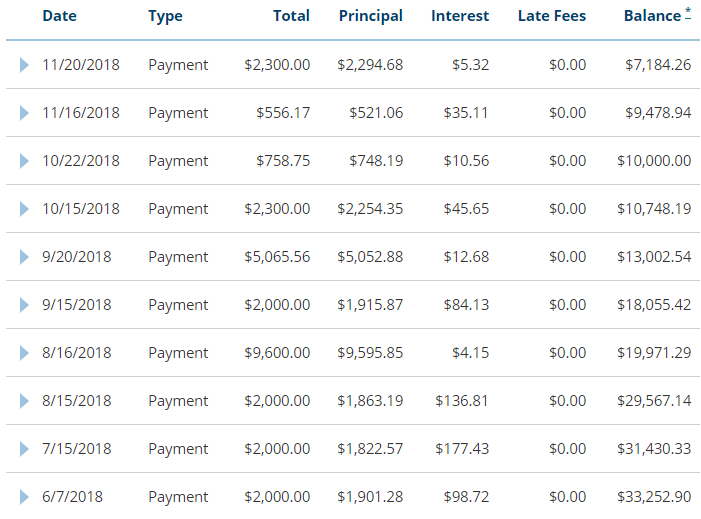 As you can see from the payment history below, I am able to pay on top of my monthly payment amount. I am not living on rice and beans so certainly I could be doing a lot better with my debt.